Concluding a two-year public planning process with workshops and a 21-person Community Advisory Committee, the San Leandro city council in February adopted the 154-acre Bay Fair Transit-Oriented Development Specific Plan. The plan is the community’s long-term vision for a vibrant and sustainable, higher density, mixed-use “transit village” in proximity to the Bay Fair BART station. 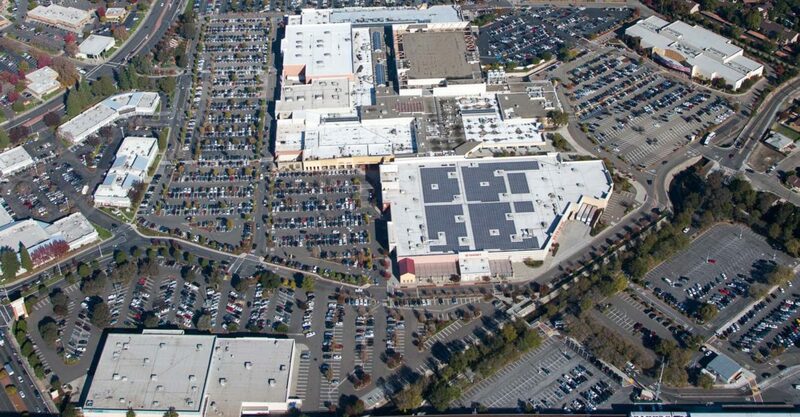 It provides a new future for nearby local shopping centers and the 816,755-square-foot Bayfair regional shopping center. The plan covers allowable land uses, market-rate and affordable housing, anti-displacement measures, and multi-modal street improvements for pedestrians, bicyclists, vehicles, and infrastructure, and it includes standards, guidelines, and zoning recommendations for future development. 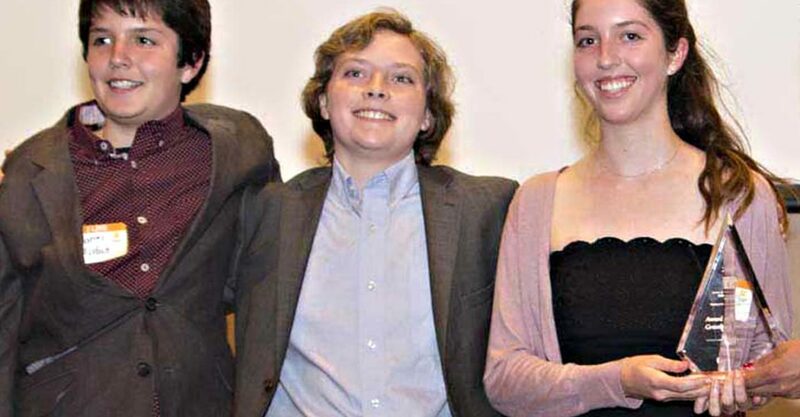 High-schoolers Charlie Millenbah, Milo Wetherall, and Zelda Zivny are shown receiving an Award of Excellence for StreetAir from APA California–Northern Section, June 2, 2017. Beth Altshuler has been appointed Chair of Northern Section’s committee on Planners4Health. She is a Senior Associate and Public Health Planning Specialist at Raimi + Associates where she has worked since 2010. Before that, she was a project associate at MIG, Inc., and the program designer and director for a pilot youth employment program through the San Francisco Department of Public Works. As committee chair, she will continue the work of last year’s Planners4Health Initiative to support planners in creating healthier and more equitable communities. The new committee will expand this work with programing and resources focused on Health and Environmental Justice Elements, Health in All Policies, and partnerships with community groups and public health professionals. 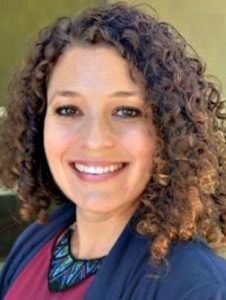 Altshuler holds master’s degrees in both city planning and public health from UC Berkeley and a BA in sociology from Cornell University. The City of South San Francisco is now accepting applications for those interested in serving on the City’s Design Review Board (DRB) advisory committee. Following the approval of the City’s Downtown Station Area Specific Plan (DSASP) in 2015, the City has experienced a substantial increase in development interest and applications citywide. To learn more about the exciting developments taking shape in South San Francisco, please view the City’s Development and Construction Map. The full recruitment notice is available on the City’s website. For any questions regarding the Design Review Board or the application itself, please call 650-877-8535. To read or download the PDF click here. A recent post by Alex Steffan poses some provocative challenges to urban planning and urban planners, and municipal executives around the world. In a sense, it illuminates the core challenge and intention of the world’s new Sustainable Development Goals and New Urban Agenda. The following paraphrases and excerpts the key points. Interested in how planning is done in Brazil’s largest metropolitan? As part of the Northern Section’s international collaboration program with the municipality of São Paulo, English subtitles were added to their impressive video below – highlighting São Paulo’s recently adopted Master Plan. Dates/Times: THUR Nov. 17th and TUES Nov. 22nd (come one or both days). Please RSVP (1) for attending the student presentations (courtesy option) and (2) for the Debrief (required) in the google form below (or click). Location: ROOM 106, Wurster Hall, University of California, Berkeley (map). Co-hosted by: APA Sustainability Committee & University of California Berkeley Department of City & Regional Planning.